This traditional Bear & Son folding knife is a modern take on the classic Stockman pocket knife design. 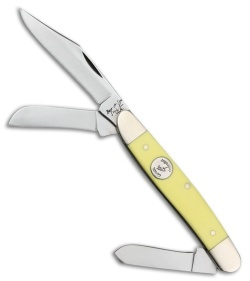 The Bear & Son 4th Generation Series Large Stockman makes a fine addition to any pocket knife collection. 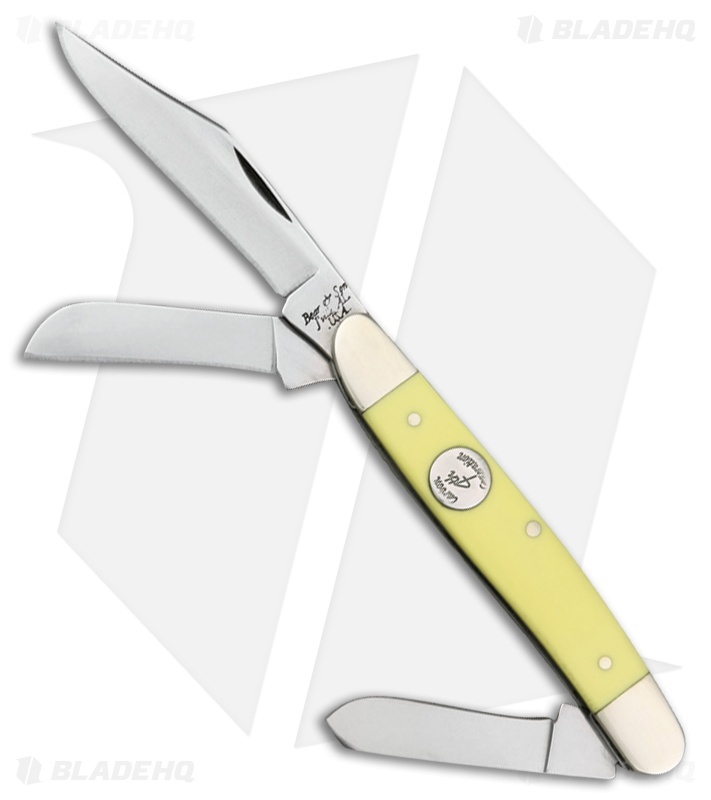 1095 steel clip point, spey, and sheepsfoot blades with a nail nick opener. Polished nickel silver bolsters and pins for an impressive fit and finish. Yellow delrin handles and a 4th Generation inlay shield for a classic look.